Daniel E. Cadotte Plumbing & Heating Inc.
We are a Plumbing and Heating business that was established in 2004. We provide all types of residential and commercial plumbing,heating, and gas services. At Hinchey Brothers Plumbing and Heating we provide fast, reliable, and guaranteed service for all of your plumbing needs. We are there when you need us and, should you require further service, we will continue to be there for your warranty and maintenance needs. At JC Plumbing & Heating, we’re a locally owned and operated plumbing company in Saugus, MA, that clients trust because our trained technicians will complete the job on time and with impeccable skill. Papken Plumbing & Heating Inc prides itself on being the go-to choice for clients looking for Plumbing Contractor, Heating and Gas Piping services. Rodenhiser Plumbing, Heating and Air Conditioning has served the 495 /128 area of Massachusetts since 1928 - building a reputation for professional and friendly service throughout the years. That superior level of service is one of the reasons more and more families and businesses continue to choose Rodenhiser for their plumbing, heating and air conditioning needs. 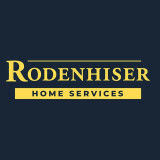 When you choose Rodenhiser, you are choosing a company trusted in your community for 85 years. No job too small: Residential service & repair. Addarios was established in 1998 by Steven J. Addario, Jr. as a family-operated business. We have grown exponentially over the past 15+ years as leaders in our industry and are grateful to our more than 50,000+ Massachusetts customers. We have expanded our original services from plumbing and heating to include all of your cooling, electrical and contracting needs as well. Customer Service remains a key aspect to our business practices to ensure continued consumer satisfaction and steady growth within Massachusetts and beyond. Hire us for all your plumbing needs! Chase Plumbing Co., Inc. is a plumbing and heating business serving the greater Boston area. The owner, Ian Chisholm has been in the business for 19 years and is committed to excellence. Ian grew up in Lexington and is now proudly serving the residents of Lexington, among many other towns. Ian also has many established contractor relationships that he values. The employees of Chase Plumbing Co., Inc. work together as a team to ensure all of our clients are pleased with the services that we offer. Ian Chisholm is always personally available to help solve any problem, and we as a team will strive for excellence for each and every one of our clients. A few things that we make every effort to be are: professional, clean, efficient, reliable, and competitive in rates. Our team is big enough to handle all of your plumbing and heating needs, but at the same time we are a company that is small enough to manage the most minor of jobs. At Chase Plumbing, we trust all of our technicians who will be working in your home. The staff here is dedicated to providing our clients with the finest service in the industry. Please give us a call today at 617-448-9051 so we can add you to our list of satisfied customers. 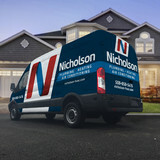 Providing you with all of your plumbing and heating needs. Serving Eastern Massachusetts including the South Shore and Cape Cod. Welcome to McKenzie Plumbing & Heating, owned and operated by Colin McKenzie, a fourth generation plumber and die-hard Red Sox fan. McKenzie is happy to do the job right and on time. Check out the positive ratings and reviews of McKenzie Plumbing & Heating, including: “Excellent. Timely and reasonably priced.” “Knows his work. Very reasonably priced. Nice guy. I would highly recommend him. “ “They arrived a few minutes early (a refreshing departure from other plumbers we’ve used)…” “We called him for repairs to our water heater. He was friendly, fast, efficient and everything went exactly as I would have hoped….” Need more proof that McKenzie is the plumber to call? Visit the ServiceMagic page for McKenzie Plumbing & Heating for complete ratings and reviews.